Through a wide range of truly meaningful spiritual experiences, we offer something for everyone: a variety of weekly Friday night and Saturday morning Shabbat services and a year full of enriching holiday celebrations. We also look forward to commemorating life cycle events - such as births, B'nai Mitzvahs, and marriages - with you. Our services are fully egalitarian: men and women participate equally. We believe we have found a healthy balance between the traditional and the creative in our celebration and our worship. Temple Beth Am is fully wheelchair accessible, and Shabbat shammesim (service helpers), who are knowledgeable in creating welcoming spaces for congregants and visitors in wheelchairs, can provide large-script prayer books to those with vision needs as well as welcome members with all disabilities. Temple Beth Am provides free assisted-hearing devices for all services. In addition, we have interpreted services for the hearing impaired during the High Holy Days and other holidays. We have been experimenting with new innovations and technology, which includes the use of Visual T’filah, installed screens, and other technology as part of Temple Beth Am worship. For more details, please read this FAQ sheet, which will hopefully answer questions and provide more transparency on the steps ahead. Through our worship, we aspire to create an environment in which we embrace the rebirth of creation on Rosh Hashanah and the rebirth of our souls on Yom Kippur. Read our High Holy Days booklet. Watch this video of the clergy of Temple Beth Am introducing a couple of prayers from Rosh Hashanah and Yom Kippur. 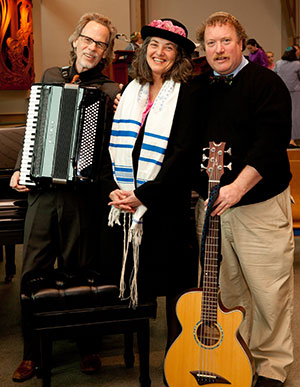 At Temple Beth Am, we believe in the transformational power of music: that it lifts our soul and energizes our spirit, that its very nature can inspire and connect us to one another. 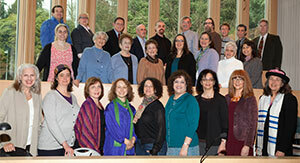 We are blessed with a volunteer choir that sings at services on the first Friday night of each month and on Saturday mornings when there is a Bar or Bat Mitzvah, choosing from a repertoire that includes Chassidic, Classical Reform, Israeli, Yemenite, Yiddish, and contemporary Jewish music. Contact Choir Director Taryn Webber for more information about how you can connect with the Temple Beth Am choir. Listen to Our Choir Samples. We have a variety of songs from our Choir available for listening. Some are contemplative and restful, others are invigorating and joyous, but all are uplifting. You can find short selections of some of these beloved standards on the right, or you can go here to hear pieces by our in-house resident composer, Shawn Weaver. While the ability to read sheet music is preferred, care is taken to include and nurture those who cannot. Singers may join the choir any time during the year (except July when the choir is off) and do not need to be members of Temple Beth Am. Each section of the choir is anchored by a professional. Choir members are expected to attend rehearsals and as many services as possible. Please contact Choir Director Taryn Webber for a rehearsal schedule.